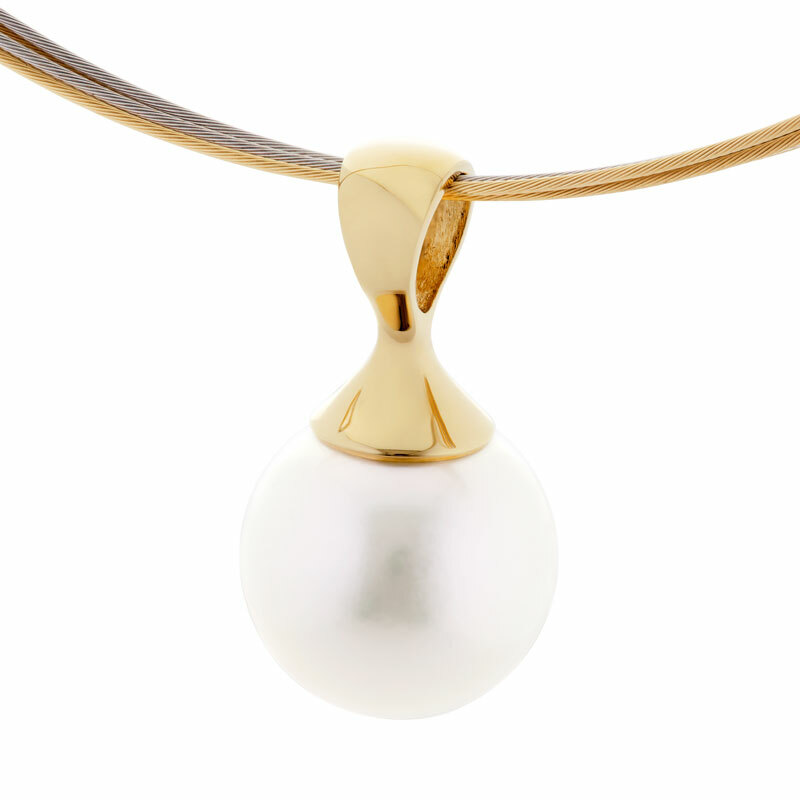 The flute like shape of this design is the most complimenting to a South Sea pearl. 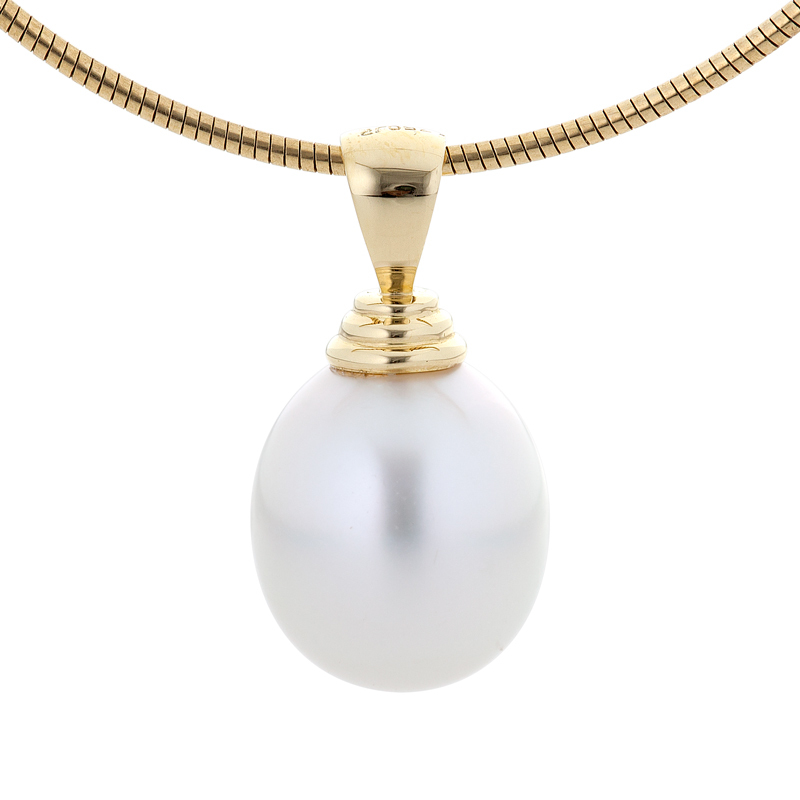 The elegant curves of the pendant fall perfectly in line with the shape of the pearl to create one of our most elegant designs. Finished with a large size bail, you have endless options on what to wear it on, a black neoprene up high on the neck, or a long chain worn over a plain style top or tunic.